2069 OCEAN FOREST Drive Surrey V4A 6P1 : Crescent Bch Ocean Pk. Style and Elegance abound in this meticulously renovated 3 bedroom, 2 bath home in one of the most desirable locations OCEAN PARK! 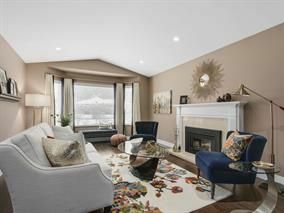 An abundance of natural light fills the very spacious open living/dining with vaulted ceilings, a gas fireplace and hardwood floors. Perfectly designed chef's kitchen with custom cabinets, stainless steel appliances and tons of counter space which flows into the beautiful family room ideal for entertaining. Enormous Master suite with gas fireplace, sitting area, luxurious ensuite and very spacious walk in closet. A perfect manicured sunny and private backyard complete with a huge patio! This is the one you have been waiting for! Open Sat/Sun April 29th & 30th 2-4pm.